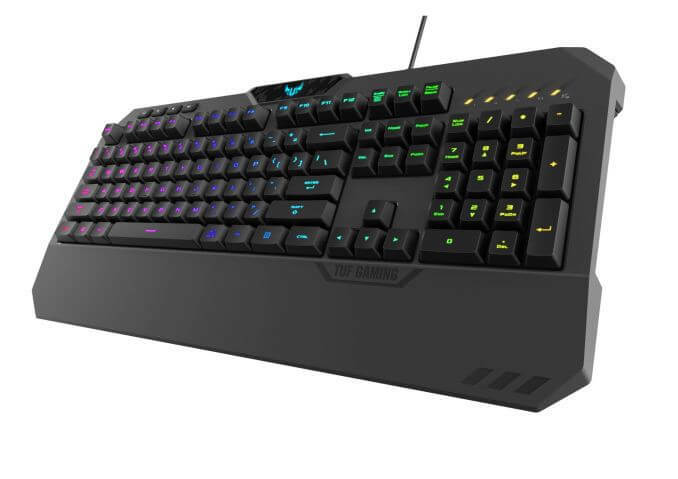 In another announcement at Computex 2018, ASUS had introduced another plethora of gaming peripherals and hardware under their TUF lineup. This lineup consists of a TUF Gaming M5 mouse, K5 keyboard, H5 headset and a GT501 chassis. ASUS TUF is an ecosystem where PC builders can assemble same themed compatible products ensuring the durability. Implementing the Omron switches under the left and right buttons ensure a 50Million clicks lifespan for the TUF M5 gaming mouse. 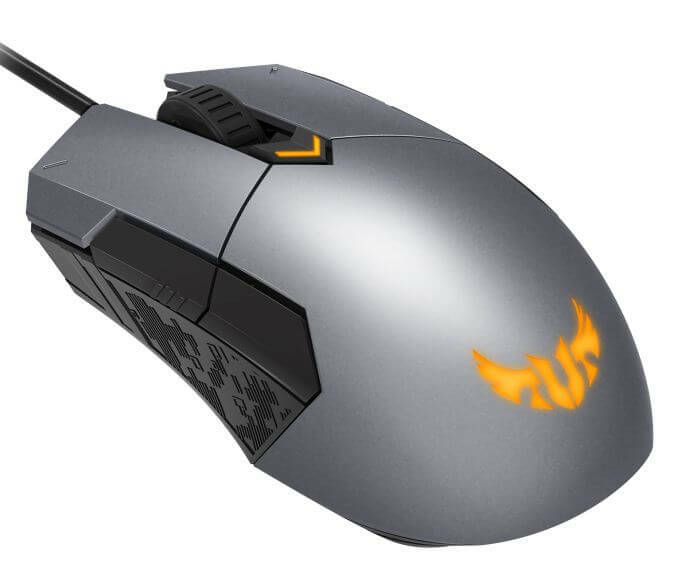 This mouse uses a Pixart PAW3327 optical sensor which can go up to crazy resolutions up to 6200 DPI. All the buttons are programmable and ready for setting macros. Featuring the mech-brane switches, ASUS TUF has added the TUF Gaming K5 keyboard which is equally durable and spill-proof up to 60ml of liquid. Here, the switches themselves mimic the concept and feel of mechanical switches with soft landing over the rubber dome. The K5 has the Aura lighting capabilities as well as features a dedicated volume and multimedia short-cut keys with 24-key anti-ghosting. The TUF H5 headset is built on stainless steel and focuses on durability, style, and comfort giving it a premium look. Each over-the-ear cups has 50mm Essence driver within an airtight enclosure. For the microphone, a detachable boom is provided. 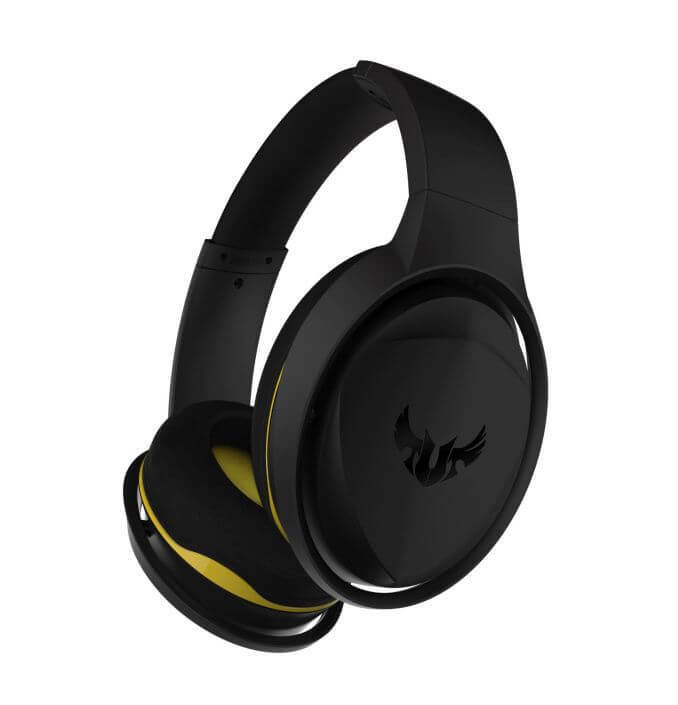 The headset connects with a 3.5mm audio jack with a USB for virtual surround sound experience. As we have discussed earlier the TUF ecosystem and its motives, the GT501 chassis is a final addition to the TUF lineup with a rugged look. 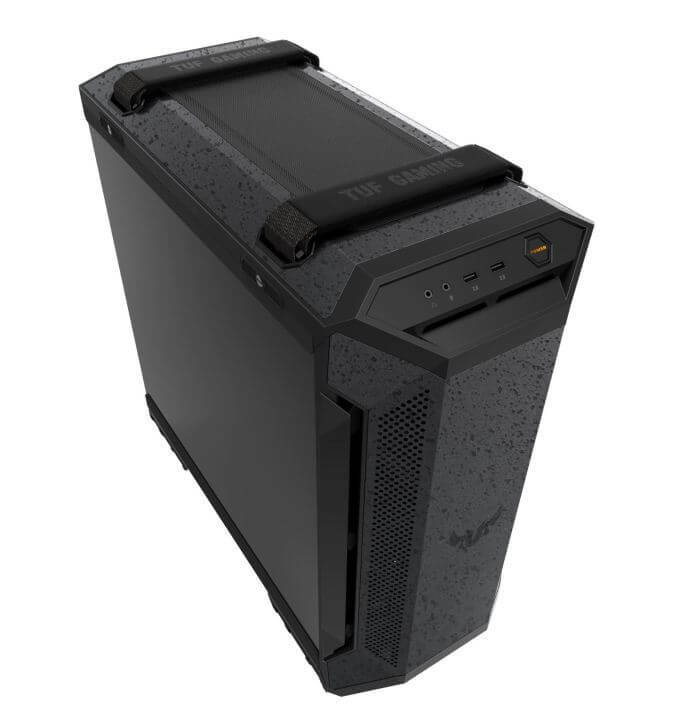 It is built on a steel infrastructure and plastic chassis with a side panel to show off what you got. Cooling is overtaken by 120mm PWM fans on top and three fans on the front with radiator supports varying 280mm to 360mm.